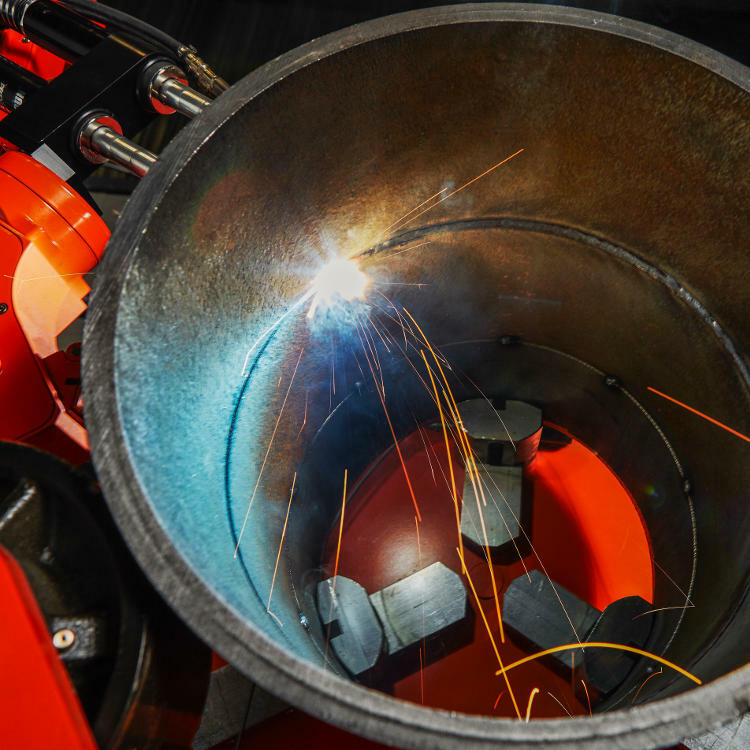 " The Rotoweld 3.0 is a fully-automated work cell developed specifically for industrial pipe prefabrication, small pressure vessel manufacturing or other similar 1G welding. " Diameter capacity 3" TO 42"
Center line clearance to ground 65"
The core of the Rotoweld technology is its unique vision-based penetration control system. 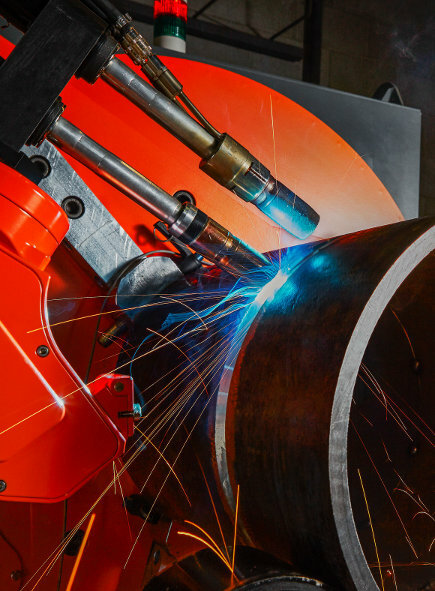 It enables any operator to perform high-quality girth welds after just a few hours of training. 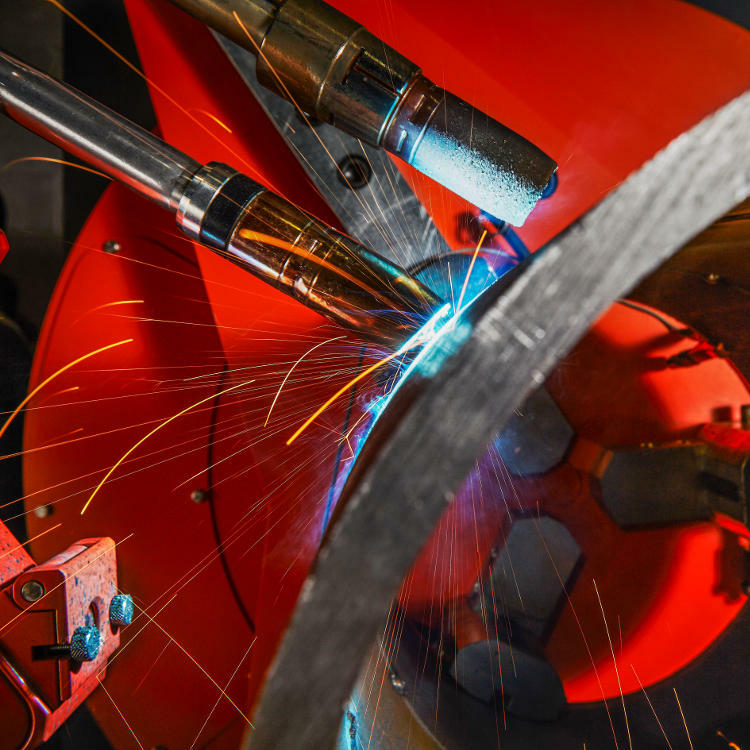 Like the welder's eyes and hands, the system continuously analyzes the image of the root weld pool picked up by a video camera integrated into the welding arm. Unique algorithms use this information to adjust welding parameters, such as travel speed, wire feed rate, arc voltage or weaving width. This constantly adapts the process to varying conditions, such as changes in gap, alignment, root face or temperature. The computer's fast reaction time means the machine can work at high deposition rates and travel speeds at which weld pool conditions are too critical to be sustained by hand.